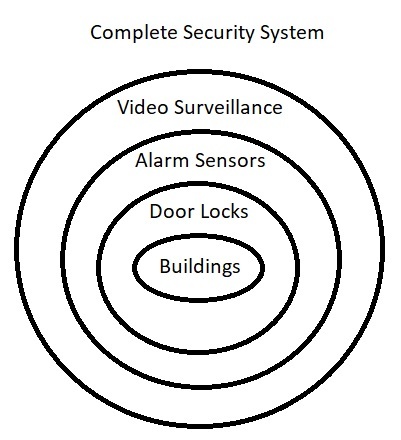 Full security systems comprise three circles of protection, physical locks, alarm sensors and video surveillance. The most common is physical security with door locks. Security camera video surveillance systems are the fourth section and outer ring of security protection. A security camera video surveillance system comprises of video cameras, network box, and digital video recorder (DVR). A security camera system can be a closed system – CCTV – closed circuit system with internal display monitor or a connected Internet-based video surveillance with remote access monitoring and recording. 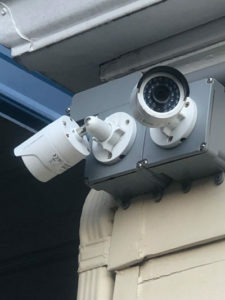 Security cameras connect either wireless or power over Ethernet (POE) to a network box or router. The network box connects to an optional DVR to record the video. It is recommended that the DVR is secured in a safe or separate individual security room. Online internet based camera systems allow mobile application and web-based logins to view real-time video. Network boxes will be sized to accommodate the number of cameras in your system, including future growth. DVR storage size will be based on the number of security cameras in the system and the amount of historic time of video you would like saved. With compatible hardware, the access control system can integrate with residential and commercial smart alarm systems and video surveillance systems all under one platform for easy management. We service and install security systems to integrate your access controlled doors, alarm sensors, and video cameras under one platform. 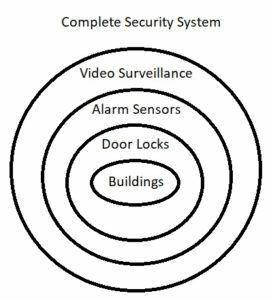 Call Lars at 541.600.4812 or email lars@locksmitheugeneoregon.com or schedule an onsite survey for installing a new smart alarm security system now below. Click here to generate an online estimate for a Video Surveillance System. Are you trying to have a general external exterior observation? Are you trying to monitor indoor families, nannies, or employee observation? Are you integrating with access control systems monitoring? Do you want a video doorbell? How many spaces or access points would you like to monitor? How many cameras? Do you need a central fish eye monitoring the security room? How many previous days worth of video would you like saved for review? one day? Seven? 30 days? We partner with Square to provide financing for installing new access control security systems.